Ierne was designed by Willian Fife III and built in 1914 at the Fife yard in Farilie. This hull design is thought to be the ultimate first rule 8m yacht. It is acknowledged as being as good hydrodynamically as a yacht can be. Ierne do not ride waves, just cut through them and is produce no wake until near their hull speed. Ierne carry the distinctive Fife tumblehome which was thought to be one of the secrets of their speed. Ierne was innovative rig design. She was the only First Rule 8m to carry the 'Marconi' bermudan rig. As originally drawn she caries 1248sq feet of sail on a 58ft mast, 35ft boom and a 19ft spinaker pole. 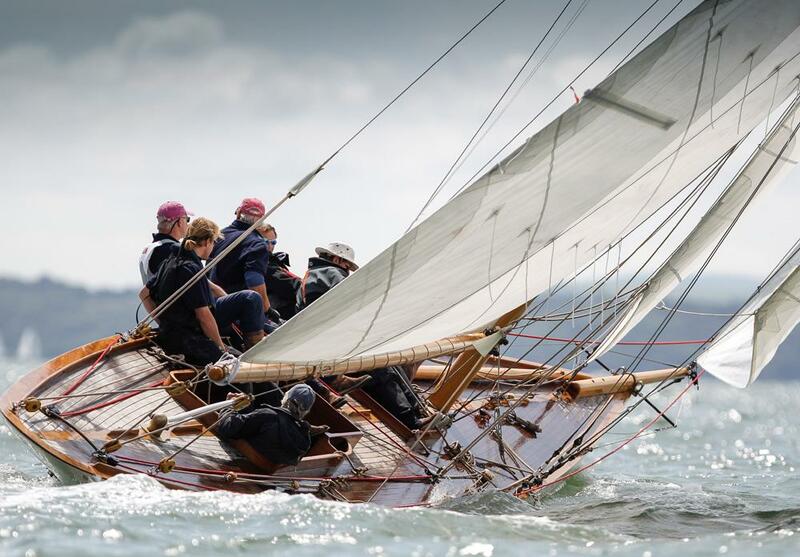 Originally built for and Irish Colonel, who gave her the distinctive Irish name, she finaly found her way into the hands of the Norwegian Olympic Team who she carried to the gold medal in the 1920 Antwerp Games.